Butch Lesbians of the 20s, 30s, and 40s Coloring Book: A Hands-On Experience. With editors, Avery Cassell and Jon Macy. This program includes the act of coloring for participants. 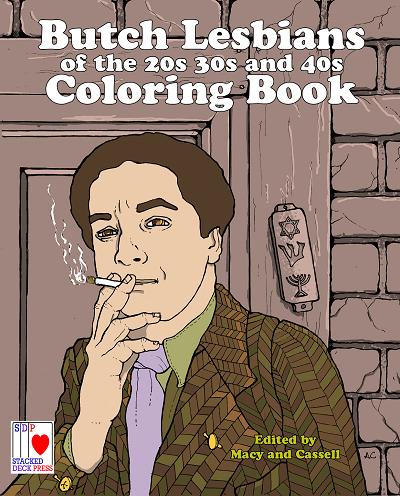 Come color exciting butches from the 20s to the 40s, and learn about historical lesbians. All supplies are included; just bring your creativity and curiosity. This program is appropriate for teens and adults.